The feel good movie of 2009, The Hangover, is back for its’ third installment of four buddies who get themselves into trouble for being typical guys. This time they are back in Vegas (again) to find and bring Mr. Chow (again) and get Doug back (again). They were supposed to be on their way to take Alan to rehab or the loony bin, but they get sidetracked by Marshall the gangster. Unbeknown to them he wants Mr. Chow and his gold back and the boys must deliver or else they will never see Doug again. Hijinks ensue and old friends come back to help, think Jade the stripper and Black Doug. Overall the movie is funny, not the greatest movie in the world, but I don’t think anyone expects that from this flick. 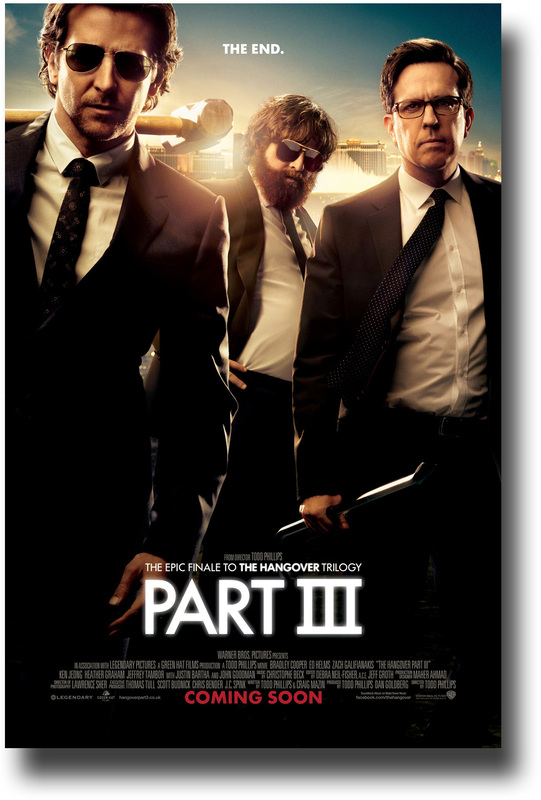 It’s worth renting to fulfill the Hangover trilogy and move on with your life. 1. 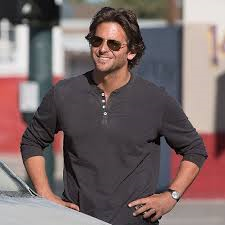 Bradley Cooper and his hair. God, he is so hot and I am being superficial, but this movie is worth watching for that reason alone. LOL. 2. Alan and his giraffe, that’s all I will say about that. You will have to watch to see that unfold. 3. Ken Jeong as Mr. Chow does not disappoint. He is funny and masterful as the evil little guy who tortures the group with his cocaine snorting antics. 4. Cameo of Baby Carlos from Hangover I. 5. Melissa McCarthy as Cassie. Probably the best part of the whole movie is her pawn shop scene. I swear she is a scene stealer and there could be a whole movie about her and Alan.